The following is a series of questions prompted by Stephanie Slater’s “Edward Terry Sanford: A Tennessean on the U.S. Supreme Court” (University of Tennessee Press, 2018). This is the first biography of a justice whose contributions to the Supreme Court in the 1920s were overshadowed in life by those of his more famous colleagues, including Justices Oliver Wendell Holmes and Louis Brandeis, and even in death, because he passed away on the same day as retired Chief Justice William Howard Taft. This work shines a new light on Sanford’s place in history and on the Taft Court. Welcome, Stephanie, and thank you for taking the time to participate in this question-and-answer exchange for our readers. “It is time for Sanford to emerge from obscurity,” you claim. Why? SLATER: Sanford was not a man of “limited capacity.” He was probably the most educated justice to ever serve on the U.S. Supreme Court. He was always ranked at the top in his classes and was awarded five earned degrees, from the University of Tennessee (B.A. and Ph.B.) and Harvard (B.A., M.A. and L.L.B.). He was an editor of the Harvard Law Review and graduated at the top of his class. Sanford was a patron of the arts, literature and sciences as well as a well-known writer and public speaker. He was an accomplished attorney and left an impeccable record as a federal district judge. Sanford’s lasting legacy is his role in profoundly altering American federalism by triggering the incorporation process with his opinion in Gitlow v. New York. 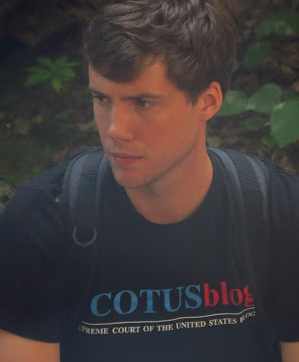 His full potential was not realized because of his short tenure and the fact that he served on the Taft Court, where most of the justices felt presumptively obligated to join opinions rather than dissent, even if they disagreed with their content. Although he was overshadowed by the likes of Holmes and Brandeis, he appears in a positive light when compared with other justices of his time. Justice Willis Van Devanter wrote a lower proportion of majority opinions than any other Taft Court justice. Justice Mahlon Pitney was described by Taft, the president who appointed him, as a weak member to whom he could not assign cases. Justice Pierce Butler is considered a “distinct failure” by many court observers. Justice James Clark McReynolds, of course, tops the list of failures. QUESTION: Sanford was born in 1865 in Knoxville, a city in East Tennessee that had recently endured military occupation by both Confederate and Union forces during the Civil War. In general, East Tennesseans remained more pro-Union during the war than did Tennesseans from other portions of the state. How did Sanford’s regional identity shape him? SLATER: East Tennessee was different from Middle and West Tennessee. Crop practices in East Tennessee did not rely on slave labor, and, prior to the war, the area had been a Whig (anti-Andrew Jackson/anti-Democratic) stronghold politically. The Republican Party filled the void left with the demise of the Whigs, and the strength of the party in the area has not waned since the Civil War. Sanford was an East Tennessee Republican, nurtured in a community and in a family that had been divided during the war. His father, E.J., a Unionist originally from Connecticut, was forced to flee Knoxville in April 1862 to avoid becoming a Confederate soldier pursuant to the Rebel Conscript Law. However, his mother’s family supported the Confederacy. Sanford became a loyalist to the North in the midst of the South. His father, a shrewd businessman, had the foresight to see that cooperation with respectable former Confederates would ensure the most successful and profitable outcomes. E.J. established himself as a postwar economic leader, and the family became one of the richest and most prominent in Knoxville. Throughout his legal career, Sanford, like his father, cultivated friendships with influential former Rebels (i.e., Democrats), such as U.S. Supreme Court Justice Horace Lurton and Chief Justice W.D. Beard of the Tennessee Supreme Court, and these men often advocated on Sanford’s behalf. Interestingly, the push for the placement of Sanford on the U.S. Supreme Court was significantly influenced by Southern “States’ Rights” Democrats. One Tennessee Democrat observed that “Democrats will be as well satisfied with [Sanford’s] appointment as if he were one of them. In fact his brand of Republicanism … has tended largely to wipe out that prejudice which has kept the Southerner in the Democratic ranks.” Although Sanford was shaped by his unique background in East Tennessee, his appointment was viewed by Southerners as acknowledgment of the importance of the South as a region. QUESTION: Sanford was the last district judge elevated directly to the Supreme Court. As you note, he had hoped that President Theodore Roosevelt would nominate him to the U.S. Court of Appeals for the 6th Circuit. Do you think he would have been a different justice if he had gotten his original wish? SLATER: Roosevelt appointed Sanford to a judicial post covering two districts, the Eastern and Middle Districts of Tennessee. The amount of territory covered by the two districts was expansive and the workload was enormous. Sanford found it unpleasant to impose punishment and to rule immediately upon the questions that arose during trial. Because he was an assiduous researcher who paid careful attention to details and preferred ample time for contemplation and reflection, the work of the district court was contrary to his taste. 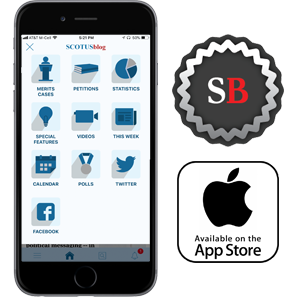 Accordingly, Sanford started seeking an appellate court appointment soon after gaining the district court position, as he thought the courts of appeals would better suit him as a judge. Although his name was suggested to fill three vacancies on the 6th Circuit, he was never nominated. If Sanford had gained a 6th Circuit post instead of the district court seat or in addition to the district court position, I believe that he would have been a different justice. Time on the intermediate appellate court might have inspired greater confidence in his decision-making and better sharpened his ability to timely craft appellate-level opinions prior to his elevation to the Supreme Court. Although Sanford was confident in his abilities, he was always anxious to have his judgment confirmed by the others. 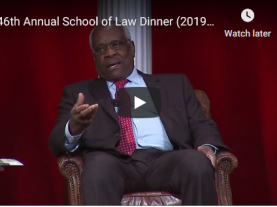 If he had served on the 6th Circuit instead of preparing opinions in solitude for 15 years, his skills would have been honed by his interactions with his colleagues. QUESTION: You write that “Sanford’s greatest impact on American law came in the area of civil liberties.” In particular, you write that the “incorporation aspect” of Sanford’s opinion in Gitlow v. New York became the decision’s “most important legacy.” You briefly mentioned this decision above, but can you elaborate on this a bit more for our readers? SLATER: Prior to Gitlow, the Supreme Court had refused to apply the guarantees of the Bill of Rights to the states. Sanford stated in Gitlow: “For present purposes, we may and do assume that freedom of speech and of the press which are protected by the First Amendment from abridgment by Congress are among the fundamental personal rights and ‘liberties’ protected by the due process clause of the Fourteenth Amendment from impairment by the States.” The statement is generally recognized as the beginning of the process of making the Bill of Rights applicable to the states through the 14th Amendment’s due process clause. After Gitlow, the court continued the process of incorporating most of the remaining first eight amendments, resulting in a shift toward constitutional protection of the individual against overbearing local governmental action. In my view, no constitutional issue is of greater practical interest to the everyday lives of Americans than the validity of the incorporation doctrine. SLATER: In 1923, the State of Tennessee had been stirred to a religious fervor over the evolution issue. Although Sanford was deeply religious, when the issue of firing some University of Tennessee professors for teaching the theory of evolution came before the board of trustees, Sanford, the board’s chairman, resigned when the meeting began. As a new U.S. Supreme Court justice, he thus avoided an open clash among his religious nature, his scientific knowledge and his concern for the university. He was not able to avoid the issue in Buck v. Bell. The eugenics movement, which coincided chronologically with the anti-evolution crusade (whose proponents vehemently opposed eugenics), found considerable intellectual acceptance during the timeframe of the Taft Court. In addition to Holmes, Taft was an enthusiast of the theory, along with researchers at leading U.S. universities and foundations. By 1925, 23 of the 48 states had passed at least one eugenics-based sterilization law. Eventually, 35 states enacted laws to compel the sexual segregation and sterilization of individuals viewed as eugenically unfit. Despite Sanford’s deep religious roots and William Jennings Bryan’s cries that eugenics was “brutal,” the “educated” arguments of the day persuaded Sanford to sign on to the decision. He probably was also swayed by the fact that such decisions by a state were viewed by the court as proper under the police power. Does the fact that Sanford “generally suppressed any disagreement with his colleagues” show us any differences between the Taft Court of the 1920s and today’s Roberts Court? SLATER: I recently read an article that described the Roberts Court as similar to the Taft Court. However, a major difference in my view is that Taft aggressively encouraged teamwork and unanimous decisions. Taft believed that most dissents were “displays of egotism that weakened the Court’s prestige and contributed little of value.” According to Taft, it was more important to stand by the majority and give weight to the judgment in order to settle the issue. 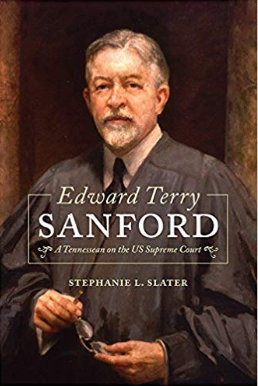 I think in large part, Sanford, ever the gentleman, deferred to Taft’s wishes and did not always utter his true opinions openly for fear of disappointing the man he believed was responsible for his seat on the court. QUESTION: How do you think Sanford’s jurisprudence might look today if he had been more willing to write separately? Do you think Sanford even liked being a judge or justice?